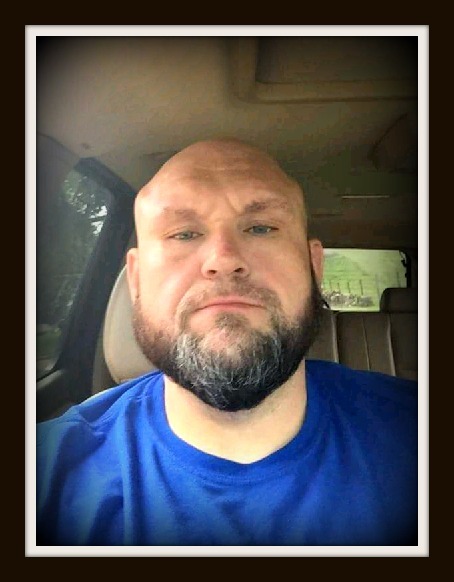 Wayne Thomas Kersey, age 40, of Canmer, KY, passed away Saturday, July 7, 2018, at T. J. Samson Community Hospital in Glasgow, KY. He was a self employed mechanic and attended Christian Fellowship Missionary Baptist Church. He was the son of Lawrence Kersey and the late Rita Faye Robinson Duvall. Besides his father, he is survived by one daughter, Katelynn Kersey, Louisville, KY; one sister, Monica Mae Meredith, Glasgow, KY; one brother, Brandon Kersey, Canmer, KY; aunts, Mae Slayton, Betty Gore both of Linwood, KY, Sue Moulden, Edmonton, KY, Phyllis Humphrey, Brenda Srygler, both of Canmer, KY, Emma Kersey Davidson, Cave City, KY; uncles, Wayne Robinson, Canmer, KY, Randall Kersey, Munfordville, KY, Linnie Kersey, Linwood, KY; one nephew, several cousins. Besides his mother, he was preceded in death by grandparents Albert and Dulcie Robinson and Bill & Jerry Kersey. The family will receive friends from 11:00 am - 8:00 pm CT, Thursday, July 12, 2018 and 9:00 am - 11:00 am Friday, July 13, 2018 at Brooks Funeral Home, Funeral service will be 11:00 am Friday July 13, 2018 at Brooks Funeral Home with Bro. Gordon Berry and Bro Nicky Ferguson officiating. Interment will be at Linwood Memorial Gardens, Linwood, KY. In lieu of flowers, memorial contributions can be made to Brooks Funeral Home for funeral expenses.